However, the unceremonious way in which European leaders and his PASOK colleagues shunted Papandreou aside in the days after he proposed the plebiscite left many Greeks feeling their chance to exercise their democratic duty was snuffed out too soon. Since then, opinion polls have consistently shown that the majority of Greeks favour the idea of a euro/drachma referendum. Such a vote could potentially clear the air, erasing the pro-memorandum/anti-memorandum dividing line in Greek society – a division that New Democracy leader Antonis Samaras as well as Tsipras have invested in while in opposition. The pumping up of the anti-memorandum camp during the past few years with opportunists and populists has been a deeply damaging experience. Not only has it undermined consecutive governments, it has also prevented a credible opposition from emerging – one that is able to put forward realistic and constructive proposals for exiting the crisis rather than simply raging against elites or lenders. In this respect, Tsipras’s decision to call a referendum provides Greece with an opportunity to put to bed this constant wrangling, to obtain a definitive answer about what direction to take. In a European Union that is accused of suffering a democratic deficit that is deeper and more pernicious than its budget deficits, including citizens in the decision-making process is a welcome tonic. However, Tsipras’s decision also has to be placed within the context of Greece’s situation. The prime minister chose to opt for a plebiscite just days before the extension of the Greek programme was due to run out. Having done so without giving prior notice to Greece’s lenders, he then asked them to extend the country’s programme. There is little doubt that it would have been in the long-term interests of all those involved for a short extension to be granted in order to reduce some of the drama surrounding the vote and allowing Greeks to make their choices under a little less duress. However, Tsipras’s decision to treat the extension as an afterthought suggested that he is using the referendum as a political exercise for his own benefit rather than that of all Greeks. Also, basing the referendum around a proposal submitted by lenders on Thursday’s Eurogroup without ensuring that this plan would remain in place was evidence of further shoddiness. The lenders’ decision to withdraw the offer means that Greeks will walk into polling booths on Sunday to vote on a deal that no longer exists. Furthermore, making the referendum question about a technical document which many voters are unlikely to ever read and which contains elements that they may both agree and disagree with shows a lack of respect for citizens. Most importantly, though, the government is not being honest with Greeks about what the two options entail. It argues that if voters back “Yes,” the coalition will respect the result, sign up to the deal and implement the agreement. This proposition is clearly fiction. There is no way that the current government can implement measures that it has campaigned against and labelled as being unacceptable. Lenders have already made it absolutely clear that they believe Tsipras’s administration has no credibility. The only options available if the “Yes” vote wins is if there is a government of national emergency including SYRIZA and opposition parties. Otherwise, there would have to be new general elections but that would probably mean defaulting on the 3.5 billion-euro bond held by the European Central Bank, which matures on July 20. Also, there is no guarantee that fresh polls would give any more clear-cut result. Tsipras is also being disingenuous when he argues that a “No” vote would allow the coalition to return to the negotiating table and force lenders to give Greece a better deal. The last six months should have made this much clear: There is no other agreement available. Setting aside the wrongs or rights of the institutions’ positions, the negotiations have shown that there is only a limited amount of flexibility available in order to keep Greece in the euro. A fresh mandate would not change this. Voters knew more or less what the creditors were willing to agree to when the previous government gave up on the process in December. Tsipras was elected in January to improve on this. He had six months to do so and got a deal that was better in some respects and worse in others. To now seek a new mandate to negotiate again is nonsense. Having been announced and approved by Parliament, the referendum now has to go ahead. It is also important for Greece and Europe that the vote gets backing from everyone within the EU. 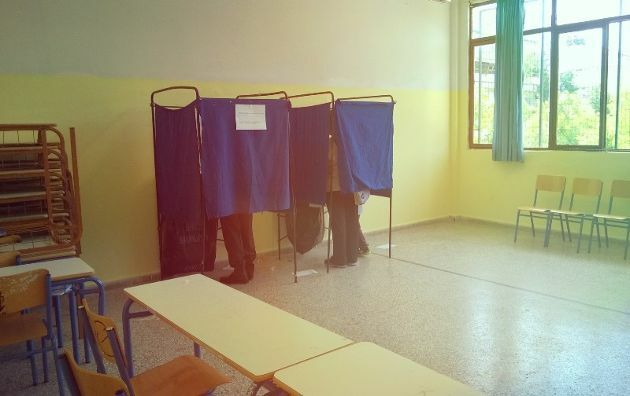 Greeks have to go to polling centers with absolute clarity about what is at stake and to know that none of the options they face are particularly good. “Yes” means possibly rescuing Greece’s eurozone membership but having to adopt further painful measures to do so after five years of torturous adjustment. “No” means leaving the euro and embarking on a journey full of uncertainty and pitfalls that threaten even greater pain. In all honesty, it is a terrible choice – one full of fear and devoid of hope – but Greeks must make it in full knowledge of what is at stake. Nick, thanks for another great piece. One quick question: do the polls have a timing to be released or should we expect random announcements throughout the week?